My name is Matt Estrada, a 50ish father of two grown sons and a lover of birds, modern architecture and everything mid century! What started as a hobby several years ago grew into my business of chürp modern. 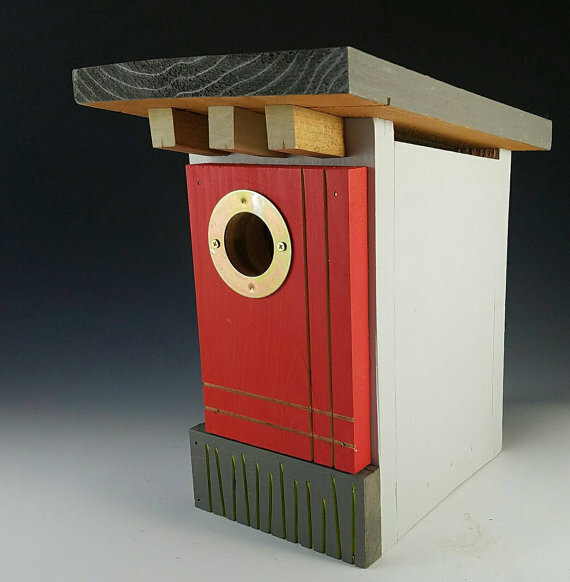 I first started with my Etsy shop and within two months had already shipped my modern birdhome designs coast-to-coast. I dabbled a bit into showing at high-end juried art fairs and festivals then in 2014, my vision really took off and I left my corporate job of 30 years to focus solely on my art. It was a HUGE leap of faith, but I went all in and in June of 2014 became a full-time independent artist. I'm now spending about 30 weekends per year traveling from Florida to the Midwest sharing my creativity with art lovers! My designs are an extension of myself and with all handmade items, a bit of my heart goes into each piece.